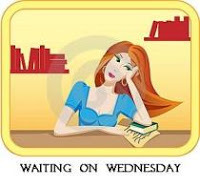 Waiting On Wednesday is a weekly event, hosted by Breaking the Spine, that spotlights an upcoming release or releases that readers are eagerly anticipating. 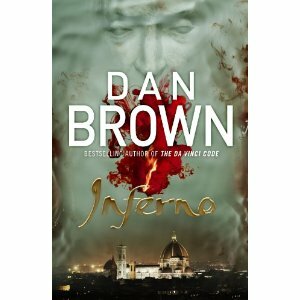 For this Waiting on Wednesday I’ve picked Dan Brown’s Inferno, which is released on May 14. I’m not a huge Brown devotee – I enjoyed The Da Vinci Code, but have never seen the film and much preferred Digital Fortress. However, I find Brown’s books are enjoyable because they’re easy to read, and take you away into another world for a few hours. Inferno was purchased by a friend for mine for my birthday back in January, so I have been waiting months to claim this present! It’ll be a teensy bit like being the Queen, with two birthdays since getting a present again definitely counts as a second birthday. Okay, maybe it won’t be like being the Queen. I’m looking forward to it anyway. Dan Brown’s new novel, Inferno, features renowned Harvard symbologist Robert Langdon and is set in the heart of Europe, where Langdon is drawn into a harrowing world centred around one of history’s most enduring and mysterious literary masterpieces. I'm trying not to read too much of the hype around it, so I'm going in with no expectations. This sounds good, and hope you get to read it soon.